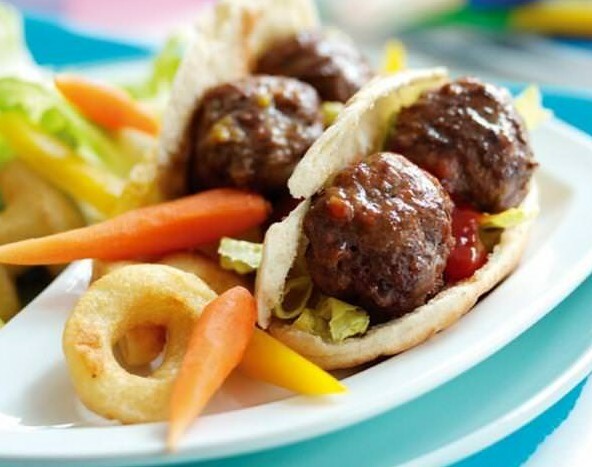 These mini meatballs are delicious served in pitta bread with salad. Try adding different spices or sauces for a different flavoured meatball. Remember: frozen vegetables also count towards your 5-a-day! Follow a recipe; follow food safety & hygiene rules; tidy away; use measuring spoons and cups; use balance/digital scales; chop using bridge/claw safely; shape e.g. burgers, fish cakes; use a hob (with adult supervision). Weighing scales, microwave safe container, knife, chopping board, food processor (optional), large mixing bowl, measuring spoon, baking tray, oven gloves. Cook the frozen vegetables in the microwave as per the cooking instructions. Allow the vegetables to cool a little and then chop them into small pieces; this is easiest using a food processor (pulse). 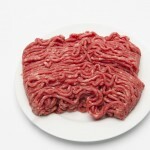 Mix the lean beef mince, chopped vegetables and tomato ketchup together in a large mixing bowl. Shape the mixture into 24 meatballs (using slightly damp hands when shaping the meatballs will help if the mixture is a bit sticky). Time permitting chill the meatballs before cooking to help them keep their shape. Place the meatballs on a baking tray. Cook in the oven for 10 minutes, until the juices run clear. 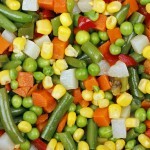 Frozen vegetables are a fantastically economical way of helping us reach our 5-a-day target. Throw a handful in soups, stews, casseroles ... and meatballs!